On November 23, 2018, the Australian Institute of Landscape Architects (AILA) is calling for the development of a National Green Infrastructure Strategy to be led by the Federal Government. AILA has played a leading role coordinating industry and government representatives through the Living Cities Alliance, where there was support from over 30 organisations for the development of a National Green Infrastructure Strategy. The proposed National Green Infrastructure Strategy (NGIS) acknowledges that nature itself operates as an enabler of more effective systems, providing important ecosystem benefits to our city, regional and rural communities. “The Strategy will recognise the economic and social value of protecting and enhancing high value urban landscapes for water management, fresh food production, biodiversity conservation and healthy active living” added Walsh. AILA has started developing a Green Infrastructure Position Statement, which will be released in the first quarter of 2019, to assist informing a national approach. As part of the process AILA will be attending The Parliamentary Friendship Group for Better Cities event as one of the 15 Supporting Member organisations in Canberra on Wednesday, 28 November at Parliament House. The is AILA calling on the government to provide leadership through the department of infrastructure to bring together key stakeholders, state and local governments, industry bodies and community representatives to develop a national green infrastructure strategy to secure the future of our towns and cities. AILA will be coordinating industry input and welcomes contact from partner organisations or media wanting to hear more or support our call for a National Green Infrastructure Strategy. 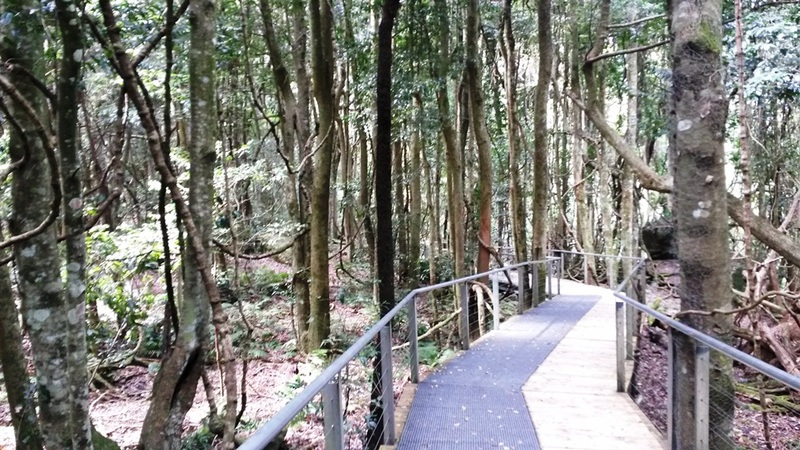 Photo of park trail in Katoomba, NSW, Australia by Storm Cunningham.